The Arts are alive and hoping! Discover, explore, invent and imagine! These themed camps are high-energy, fast-paced and just fun for kids. 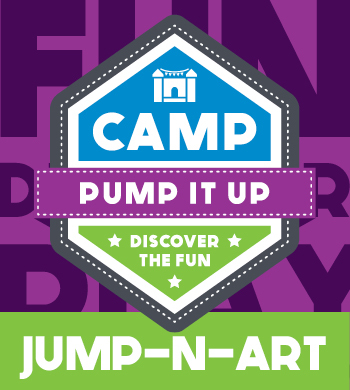 Explore the world of art at Camp Pump It Up. Now enrolling for summer.! Lunch, Snack, arts/crafts and a whole lot of jump!